The 475 Pro Series Reverse Osmosis Drinking Water System removes impurities from your water while leaving healthy nutrients in your water. Removes dangerous and bad-tasting elements from your tap water, making it safe and enjoyable to drink. 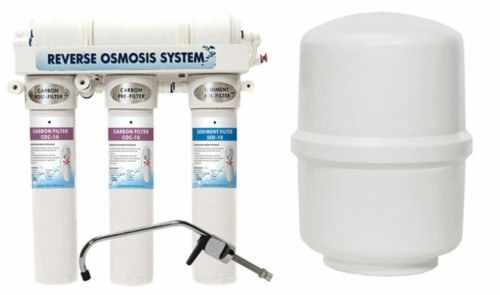 Removes 99.9% Total Dissolved Solids (TDS) & impurities as small as an atom! Click here for full specifications.